Here’s a little taste of what Vancouver’s Mint Records has on tap for 2009. 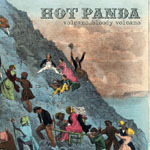 Volcano… Bloody Volcano is a collection of collaborative songs chock-full of the band’s spastic energy. It’s reminiscent of Clap Your Hands Say Yeah, State Bird, older Flaming Lips (think “Tangerine”), with flashes of An Albatross. 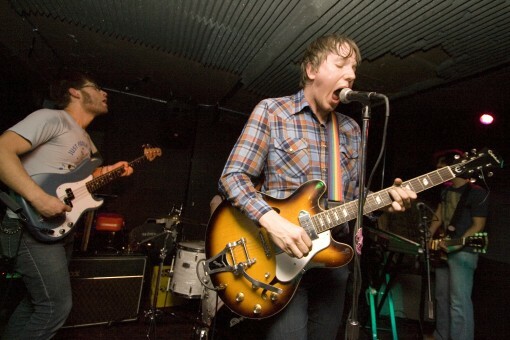 Comparisons to luminaries such as Daniel Johnson and The Talking Heads have also been swirling about and while it is always nice to be compared to such bands, Hot Panda have certainly found their own sound. Leaving behind the frozen garage jam sessions in which their musical explorations began, Hot Panda have been taking their unique blend of Brit Pop, Glam & Lo-fi Indie back and forth across the expansiveness of Canada and the USA winning new friends and fans. They have already become an experienced touring act, playing well over a hundred shows in a very short time including sets at CMJ and PopMontreal. 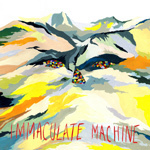 This is Immaculate Machine‘s loosest album to date. They traded in the recording studio for an on-location recording in songwriter Brooke Gallupe’s parents’ empty house. Instead of being meticulously polished, songs were hammered out on the spot. There are hints of loss and change audible in the quieter sections between classic rock riffs and thumping drums, but mainly what comes through is a more relaxed and spontaneous Immaculate Machine. Two Great Tastes that Go Great Together!!! Carolyn Mark (Victoria, BC) and NQ Arbuckle (Toronto, ON) team up to make an album that’s twice as good as any of their previous releases! Soaring guitars, tight harmonies, a myriad of themes, lovingly recorded by J. Eliot at the Lincoln County Social Club in the heart of Toronto’s recording district. With help from her special guests, Jenny Whitely, Corb Lund, Hank Pine and Lily Fawn and many more. “Let’s Just Stay Here” marks Carolyn’s 8th release on Mint Records. CM and NQ are currently on tour opening for Corb Lund working on the act.